“O Allah be Thou witness, that I have taken Thy Message up to the end of the land and if this ocean were not in my way I would have proceeded to fight the pagans until none would be worshipped except Thee.”Uqbah (“Akbah” bin Nafi - 622-683) on his conquest to the westernmost. Uqbah RA leading his army in conquest of Western Sahara. The breeze of the southern sea greeted with comforting feel on his cheek. His gaze was staring far into the ocean across the invisible. His hand grasped the sword blade. But his spell that had gone far, defeating the falsehoods was not able to cast a bit of joy in his heart. Her heart is restless and glum. His eyes were up to the sky. "O Allah, if not for the ocean that prevents me, I will prepare my arm forces to spread the great sentence of your “Syahadah”, I will advance in order to uphold the Syari'at of Islam in the western kingdom. I will unite all the empires under this noble banner I will fight against the defamatory falsehoods to receive the holy message of You O Allah. " Saiyidina Uqbah Ibn Nafi RA 'stared back at his army. Then he got up from his moody service, re-set his steps towards his army. His heart ticked, "If the vast ocean cannot weaken me, there is still a world that has not yet received the beauty of this noble teaching. Come on! We continue our struggle. " Starting from the coast of Tangier in the Atlantic Ocean, Uqbah Ibn Nafi 'and his troops are on their way to the south. Armed with the mandate of the Caliph Muawiyah, they have mastered all of North Africa from Qairawan in Tunisia, to Fezzan and eventually to the city of Elzab and Tahret. 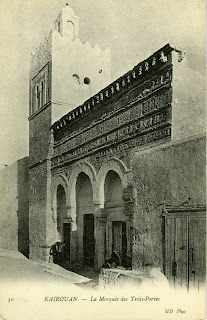 Qairawan Mosque 3 Gates - 1880. "Praise be to Allah, Lord the worlds", he was unafraid in his heart to think that there was still a group of people who did not glorify Allah. His soul burns to make sure his life will release the bonds of humanity in this world towards Ilah other than Allah. Is the spirit of jihad flourish in our souls? The souls of the da’ie should be fresh flowers with a sense of uplifting Islam throughout the world. Seeing ignorance, let alone the disobedience will manifest feelings of discontent and anger for us to eliminate any form of contravention. Sadly the situations now are that the average youth out there is less sensitive. Indirectly flashed the sense of spreading Islam but there is not a sense of pride in Islam. However, the burning spirit needs to be well-formed. It is useless if the spirit comes from its origin but eventually goes out with only water-splashes. Mihnah-mihnah who makes these streets often causes us to stray and more sadly lead us ashtray far from our goal. Therefore, it is important for us to go through tarbiyah processes that will help us organize the best possible steps. Saiyidina Uqbah Ibn Nafi RA 'is not only known as a war commander or general who is able to force his troops to rally the ranks of the enemy, but he is also known as fair amateurs capable of governing a kingdom. 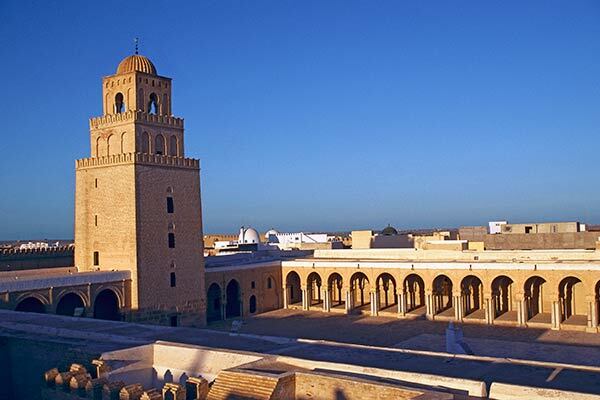 The city of Qairawan was founded and became the center of Islamic governance in North Africa. The outer wall of Qairawan. 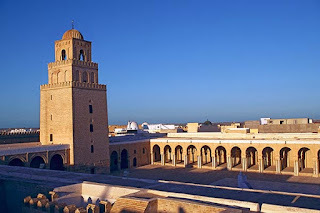 The purpose of Saiyidina Uqbah Ibn Nafi RA is to make Qairawan the center of Islam in North Africa, among them to develop Islamic teachings in the region. It is useless if many conquests are done but there is no follow-up to show the beauty of Islam to the locals. Tarbiyah should be implemented and emphasized that new converts to Islam fully understand and can feel the true beauty of Islam. In addition, the establishment of the city will also facilitate Islamic soldiers dating from Damascus to teach Muslims to the locals and within. The interesting lesson here is Saiyidina Uqbah Ibn Nafi RA 'fully implement the Sunnah of Rasulullah ﷺ in spreading his teachings. Rasulullah ﷺ was earnest in spreading the teachings of Islam in which he not only focuses on certain people, but he is equally entertained and not tired of expelling people back to his nature to put their creators on. Even to the disbelievers, he treats their feelings even when he is scorned. (Rasulullah ﷺ story with a blind Jew, where he will daily feed the Jews. The Jews scorned and insulted him without him knowing that feeding the food to him was the Messenger of Allah). 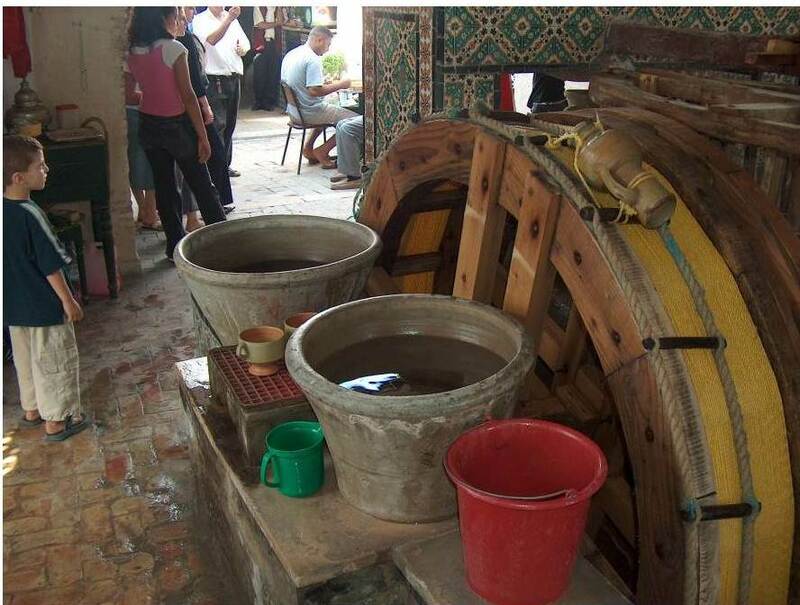 Until his death, where Saidina Abu Bakar Sidiq RA took over the task. However, the Jews can feel the disparity in which the first ones are not as soft as the second people who feed him. When asked Saidina Abu Bakr Sidiq RA who shed tears and uncovers the secrets since the first time that the person was none other than Rasulullah ﷺ himself. Then the Jew cried and declared his Islam. Just as Saidina Uqbah Ibn Nafi RA, he shows "uswatun hasanah" that causes the flocks of the original inhabitants and the surrounding inhabitants of the masses of Berbers to embrace Islam. 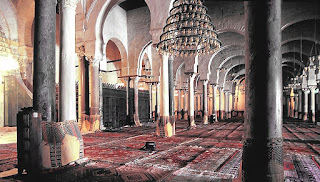 Inside view of Al Qairawan Mosque. "O ye Believers, if ye help Allah, He will help you, and establish you." In the town of Qairawan there are also interesting stories mentioned about him. It is narrated that he once prayed that "O Allah, let us be safe from all beasts and dangers." At that time, Qairawan was known as a place full of wild and toxic beasts like tigers and snakes. After he had prayed, locals saw many of the animals migrating elsewhere. This caused them to be drawn between the factors that caused them to embrace Islam. In addition, he also prayed to Allah to prosper Qairawan and make it one of the centers of Islam. So far, this city, Qairawan is well-known as one of the most valuable cities of Islamic heritage as well as being the leading center of Islamic spread in northern Africa. 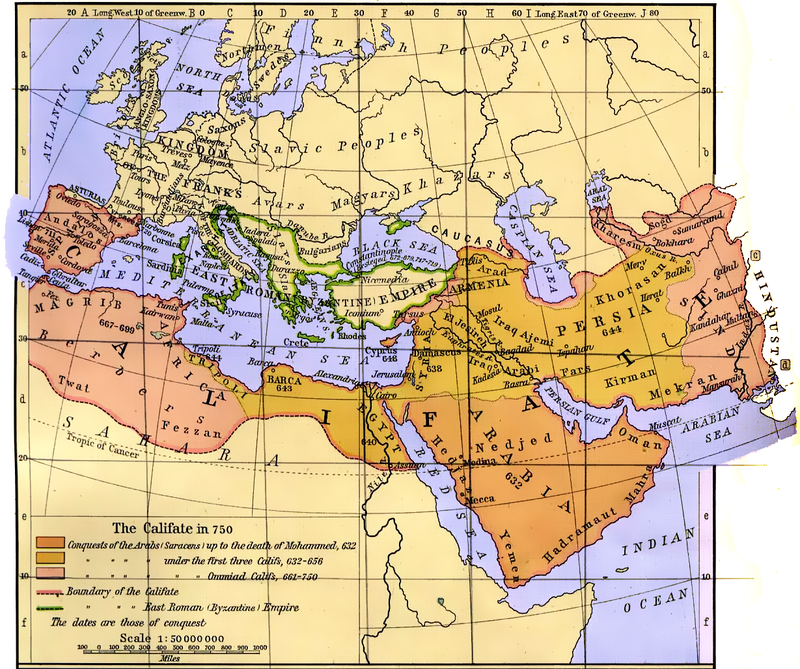 Uqbah Bin Nafi RA – The Conqueror of North Africa. The years 665 to 689 saw a new Arab conquest of North Africa. This time under the able leader ship of Saidina Uqbah bin Nafi RA. It began to protect Egypt "from flank attack by Byzantine Cyrene". So "an army of more than 40,000 Muslims advanced through the desert to Barca, took it, and marched to the neighborhood of Carthage", defeats a defending Byzantine army of 20,000 in the process. 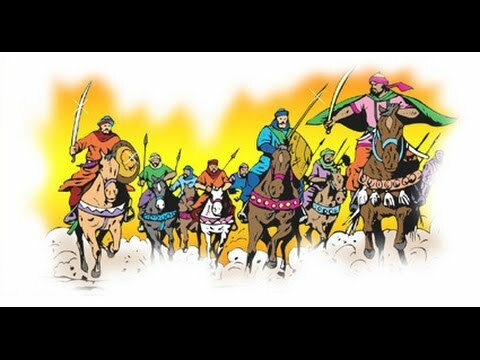 Next came a force of 10,000 Arabs led by the Arab general Saidina Uqbah bin Nafi RA and enlarged by thousands of others. Departing from Damascus, the army marched into North Africa and took the vanguard. In 670 the city of Qairawan (roughly 150 kilometers [80 mi] south of modern Tunis) was established as a refuge and base for further operations. This would become the capital of the Islamic province of Ifriqiya, which would cover the coastal regions of today's western Libya, Tunisia, and eastern Algeria. 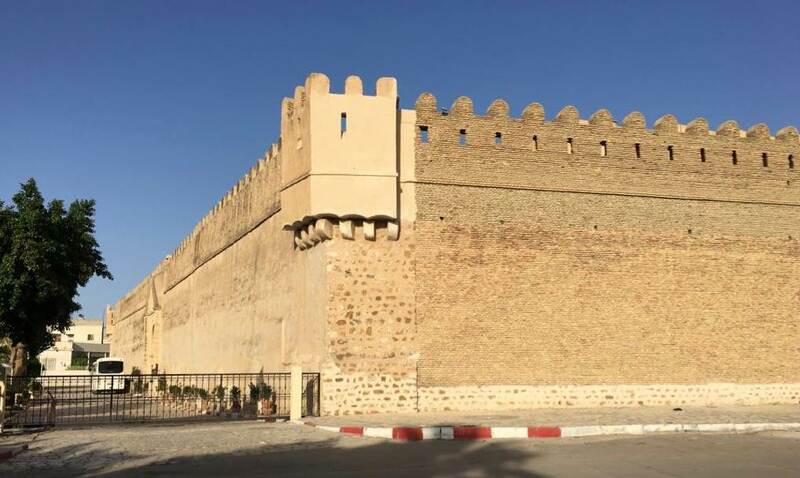 Uqbah Bin Nafi RA the fearless general "plunged into the heart of the country, traversed the wilderness in which his successors erected the splendid capitals of Fes and Morocco, and at length penetrated to the verge of the Atlantic and the great desert". In his conquest of the Maghreb (western North Africa) he besieged the coastal city of Bugia as well as Tingi or Tangier, overwhelming what had once been the traditional Roman province of Mauretania Tingitana. But here he was stopped and partially repulsed. In their conquest against the Byzantines and the Berbers, the Arab chieftains had greatly extended their African dominions, and as early as the year 682 Saidina Uqbah Bin Nafi RA had reached the shores of the Atlantic, but he was unable to occupy Tangier, for he was forced to turn back toward the Atlas Mountains by a man who became known to history and legend as Count Julian. But Saidina Uqbah Bin Nafi RA did it during the second half of the first century Hijrah. If Saidina Amr ibn Al Aas RA is called the conqueror of Egypt, Saidina Uqbah Bin Nafi RA can be called the conqueror of Africa that includes present-day Algeria, Tunisia, Libya and Morocco up to the Atlantic shores. Uqba bin Nafe was born in Makkah one year before the Hijrah of Rasulullah ﷺ. His father Nafe bin Qais Al Fahri of Quraish had already embraced Islam. Thus Saidina Uqbah bin Nafi RA was brought up in a Muslim environment. He was closely related to Amr ibn Al Aas through his mother’s side. He accompanied his father Nafi during the campaign of Amr ibn Al Aas RA in Egypt. After the conquest of Egypt, Amr sent him to conquer the West. In 50 Hijrah, Saidina Uqbah bin Nafi RA, as the commander of the Muslim forces, crossed the Egyptian deserts and set up military posts at regular intervals along his route, in a territory now known as Tunisia. He established the city called Qairawan, about 160 kilometers south of present-day Tunis. He used it as an advance post for future operations. Saidina Uqbah bin Nafi RA marched hundreds of miles without any major confrontation. After crossing the territory now named as Tunisia, Libya, Algeria and Morocco, he triumphantly reached up to the shores of the Atlantic Ocean. When Saidina Uqbah bin Nafi RA reached the region, he selected a strategic site for his future camp city. 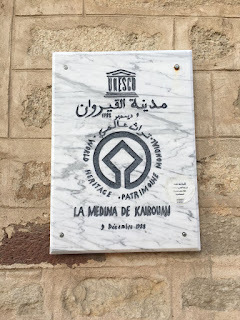 As the first step Uqba laid the foundation of a grand mosque, which became a center for scholars and the first Muslim institute on the continent. 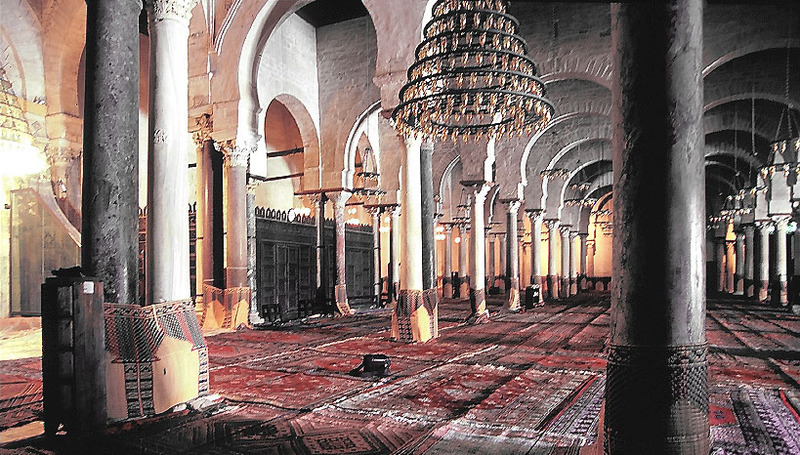 The mosque is known as the Mosque of Uqba in Qairawan or the grand mosque of Qairawan. After this grand victory Saidina Uqbah bin Nafi RA returned toward his base in Qairawan. When he reached Tanja, he dispersed his force and kept a small contingent of about 300 fighters with him. The enemy found an opportunity. Berber chief Kusaila who had embraced Islam turned away and joined the Romans with his force. Thus a large enemy force attacked small Muslim contingent. Saidina Uqbah bin Nafi RA told Abu Mahajer Dinar to proceed to Qairawan and take the command. Saidina Uqbah bin Nafi RA said: “I desire a martyrdom for me”. Abu Mahajer replied, “I also desire a martyrdom for me”. 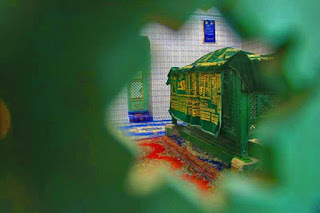 Tomb of Saidina Uqbah bin Nafi RA. They fought bravely and all the 300 fighters were martyred. They were buried at a place later called Sidi Uqbah in Algeria and a mosque was built at that place. Uqbah’s descendants are still found in the area stretching from Lake Chad region to Mauritania’s coast. 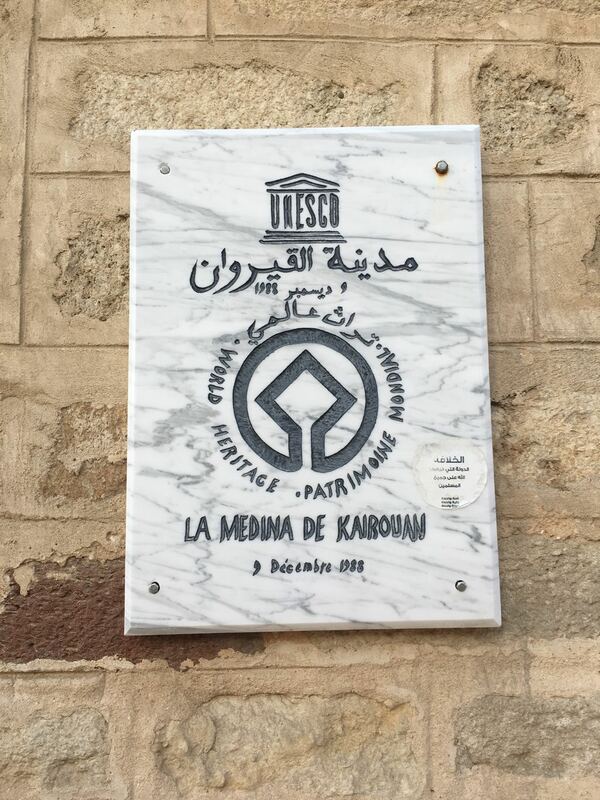 The trans-Sahel Arab tribe of “Kounta” traces its origins to Uqba, in Algeria, Tunisia and Libya. Some of his descendants are known as Aulad Sidi Uqbah. That is how Saidina Uqbah bin Nafi RA sacrificed his life for the sake of Islam at the distant part of the world. His heroic story was supposed to be emulated where he often sought to uphold the word of Allah. In addition, the missionary effort shown should be an example in which he is always trying to bring people back to Islam regardless of their status and dignity. Saidina Uqbah Ibn Nafi RA also often places the problem of the people as a priority where he does not return to Damascus instead of establishing the city of Qairawan to be the center of spreading Islam as well as the center of tarbiyah to the surrounding people..
Area of Conquest by Saidina Uqbah bin Nafi RA from Egypt to Morocco. 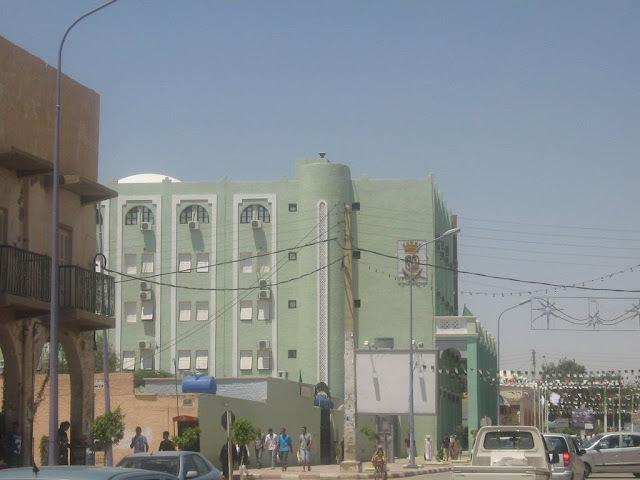 Modern day - City of Biskra - where The Great Qairawan Mosque located.